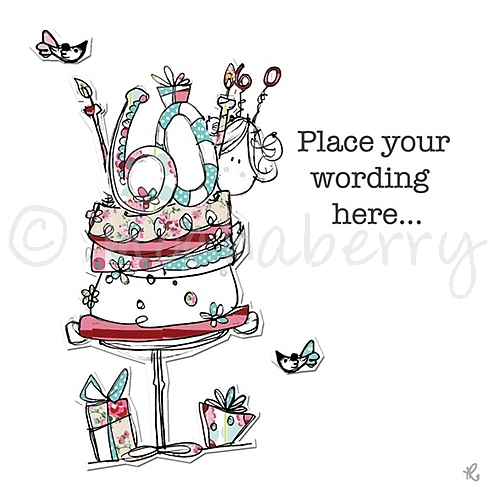 A delightful drawing of a lady wearing a 60 hair band and holding a 60th birthday cake coloured in shades of pink, green, yellow and blue. The lady is surrounded by small birds and birthday presents are on the ground. Hand finished with glitter and various embellishments (not shown). suggestions for use: 60th birthday.